Looking for a well built and meticulously maintained home in a well-established community where you can not reach out your window to touch your neighbors hous? This is a charmer that you will LOVE! ALL BRICK, 5 Bedrooms, 2,400+ Sq.Ft home MOVE IN READY on a Large fenced flat lot! All New Energy efficient windows, ALL Fresh paint, Renovated bathrooms, Brand new floors to include completely refinished Original Hardwoods, New Lighting, New Granite Counter tops and New Gas Stove! YOU MUST SEE to appreciate this charmer! Award winning Lex/ Rich 5 Schools. Formal dining room and great room with HUGE picture window for plenty of natural light on main floor! The 2nd Great room on lower level features an ALL brick fireplace that opens up to the LARGE newly renovated screened in porch that overlooks the Large fenced yard. MOVE IN and enjoy these great renovations today! Convenient location just off the I-20 and I-26 Interchange, easy for downtown commute and close to shopping and Seven Oaks Park. Please see the Updates and upgrades list for complete details. Looking for Newer Construction without the new price ? This open floor plan 3 bedroom home is great for a 1st time home buyer looking to get the best bang for their buck! Pristine condition with gorgeous laminate hardwoods throughout downstairs living area. The kitchen features granite countertops, stainless steel appliances and the eat-in bar that is perfect for entertaining! The natural light from large windows and sliding glass door invite the outside in, as you walk out onto the outdoor living area that includes concrete grilling pad perfect for summer fun! the designer garden beds are perfect for the green thumb to utilize the green space for flower or a garden! No neighbors behind you to enjoy the wooded view and peaceful back deck! Enjoy the spacious great room with gaslog fireplace and halfbath down for guest. With all bedrooms upstairs for privacy the master Ensuite is spacious with large walk-in closet and separate shower and garden soaking tub. The comfort height double vanity makes for spacious counter space. The additional 2 bedrooms share a bathroom that also features a comfort height granite countertop cabinet and both have ample closet space! Lots of storage closets and even includes the “stash cabinet” as you walk in front door! Looking for a great location to Download Columbia or Lexington & easy access to HWY? Plus Close to great shopping! A great 3 Bedroom Home with 2 Great Rooms both with their own fireplaces & open floor plan are waiting for you to call them home! The Dining area has French doors that open up to a large deck that overlooks the large private fenced backyard. Sit on the deck & enjoy the breeze of the shade trees while grilling out or enjoying the fire pit. The great room has built in bookshelves & hardwood floors & is the perfect place to entertain. The 1st bedroom could be turned into the perfect office with French doors & big windows for plenty of natural light. This one level ranch style home boast an Ensuite master with trey ceilings, LARGE walk-in closet & all wood shelving, Double vanity sink & separate garden tub & shower. The main open great room has LARGE windows & fireplace & peek through window into the kitchen. NO CARPET in the house all tile and hardwoods! This home is ready for you to MOVE-IN today! establish Concord Park Subdivision! Almost 4000 SQ.FT with custom color paint and luxurious custom details With a large Privacy fenced back yard! Crown molding and Iron stairwell railing, heavy molding, and built in entertainment cabinets! This is a show stopper for this much house at this great price! a MASSIVE Walk-in Closet! This well cared for home is ready for you to MOVE IN time for Christmas! Enter the Beautiful front door to your new spacious one level ranch style home (Handicap Accessible!) with open floor plan & high ceilings throughout. Overlooking the breathtaking views of lake Murray situated on a .61 acre lot with 155 feet of water front & master bedroom with pristine views in the privacy of your own backyard. Unfinished walkout basement has a workshop & can be finished with more space for extra living. Mother in laws suite with its own kitchenette a private deck allows for separate living area’s Home features large easy entry showers and wide handicap accessible doors. Ton’s of storage and a 3 car garage. Only 5 miles from dreher island State park. This is a Lake Life opportunity to enjoy entertaining and breath views! Bring your boat and enjoy Lake Life in this quiet established community waiting for you to enjoy the water and make your own today! Listed $ 95,000 Below Recent Appraisal! Well worth the look at this opportunity to make it your own! See the virtual tour link for more perspective of this beautiful lake home in the protected cove with stunning views! This Charming home is ready for you to call it home. The rocking chair front porch greets you as you walk in to see beautiful hardwood floors, high ceilings, & crown molding. Cozy up to a pretty fire in the great rooms that opens up to the eat in kitchen feauring granite counter tops, stainless steel appliances, custom tiles back-splash & breakfast bar. Kitchen overlooks outside oasis with large backyard w/privacy fence, custom stone patio, fire-pit, shed and screened in porch. Master suite features walk-in closet, private batch, dual vanity, walk in shower and garden tub. Upstairs features a 2nd family room/loft area with porch access. community swimming pool and lake are part of the Home Owners Asssociation Don’t miss out on this one. Stunning custom all brick 3 bedroom, 2 ½ bath home with a bonus room on a mature landscaped over ½ acre lot. Meticulously cared for as soon as you walk in you will fall in love with the beautiful hardwood floors, high ceilings, & crown molding. Cozy up to a warm fire in the great room that also offers a built-in entertainment center/bookshelf & recessed lighting. Eat in kitchen featuring granite counter tops, stainless steel appliances, custom tile backsplash, breakfast bar, built in desk & tons of cabinet space, a cooks dream. master suite features tray ceiling, large walk-in closet, private bath, dual vanity, walk in shower & whirpool garden tub. Tons of storage throughout the home including floored storage in the attic. Over-sized garage with cabinets and hooks to keep you organized. Enjoy reading a good book on the back deck overlooking the large fenced backyard with mature landscaping. Don’t miss out on this beautiful home. As you enter this beautiful open floor plan take notice of the cathedral high ceilings with a spacious feeling bringing in ton’s of natural light. Great room features a gas fireplace & opens up to eat-in kitchen with pantry. Access back deck off the eat in kitchen area. Attention to detail with the beautiful hardwood floors & crown molding on the lower level. Plenty of space entertaining with formal living & dining rooms as well. Convenient upstairs laundry room off the bedrooms. Master bedroom features palladium window, high ceilings, walk in closet with en-suite featuring double vanity, separate garden tub, Shower and water closet. Backyard features vinyl privacy fence to enjoy your backyard bbq’s Located in cul-de-sac. 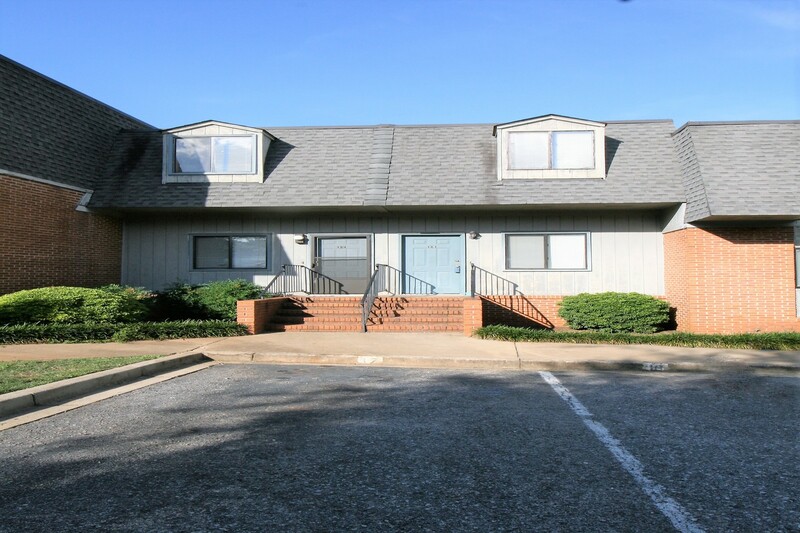 Convenient to l-77 , Fort jackson and VA hospital. 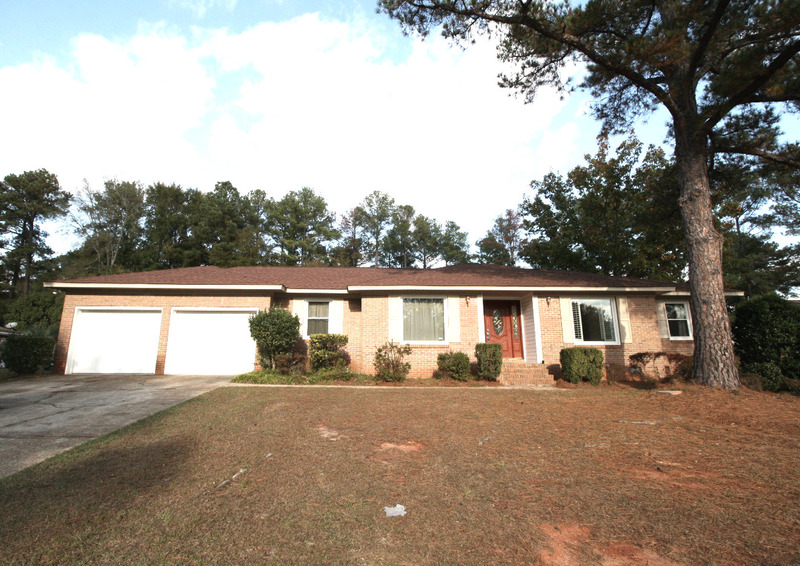 All brick solid built ranch home with great upddates! A huge fenced yards that feels very private with large trees along back fence line a large deck perfect to entertain and grill out with friends. The beautiful front doors welcome you to a home that features all tile floors in main living areas including the formal living room that offers the huge front window and lots of natural light. This one level home has been well maintained. All new energy efficient thermopane windows and doors, roof replace 2012, Trane HVAC 2010, updated kitchen with granite counter tops, New Stainless steel appliances, newer garage door openers with a seal garage floor and offers transferable termite bond and 2-10 Home warranty! The large master suite has recessed dimmer lighting, plantation shutters and an ensuite with updated large walk-in shower, and double granite vanity, This home is move in ready and convenient to everything including award winning schools, Come see for yourself today! Wow, you must see the upgrades in this beautiful home, Looks like it is a brand new home without the brand new price. 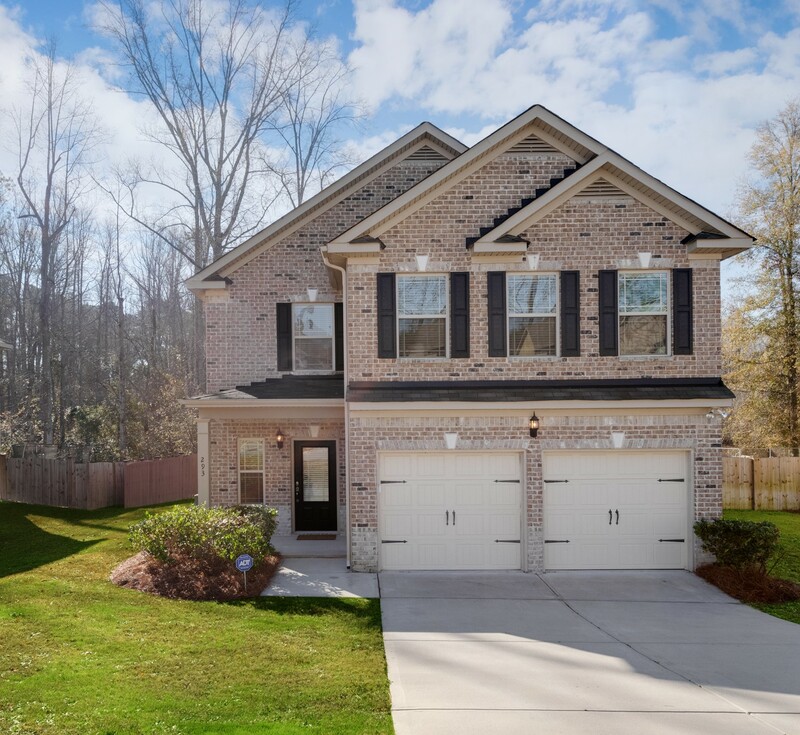 This meticulously cared for 5 bedroom, 3 bath home, is conveniently located near shopping, Fort jackson, Interstate and the VA hospital, Attention to detail at every turn with wood flooring throughout the lower level, coffered, Tray, & vaulted ceilings, crown molding & arched entryways. It has been freshly painted. new lightning throughout. Cozy up to a nice fire in the great room. The kitchen features granite counter tops & new stainless steel appliances. Bedroom on the main could be office or mother-in-law suite with full bath access. Master bedroom en-suite features huge walk in closet, double vanity, & separate shower & garden tub. Private fenced backyard featuring low maintenance composite fencing. Enjoy the patio for your relaxation & entertainment. Looking for Lake Living under $375K and lots of Sq footage with low maintenance? This stunning All brick 3800 Sq Ft home is move in ready with no mowing the front or side lawn! So you can spend more time on beautiful Lake Murray! HOA fee includes, Front and side yard maintenance, Community Boat Ramp access, Community Boat Storage PLUS community pool and clubhouse! so come enjoy Lake Living! The gourmet kitchen with the double oven and stainless steel appliance is ready for you to entertain guests on the Larged Covered patio! Perfect grilling and soaking in the lake view! A unique Cul-de-sac Yard provides a little more yard than most neighbors and a nice area for additional parking to invite guest! This home boast lots of Luxury details with heavy crown molding, Hand scraped wide hardwood throughout most of home, Recessed lighting, Built in book shelves, A private office with double french doors with a view of the water, provides a place to work in peace, The Master is an oasis a privacy with a private sitting area, an Ensuite Spa like Bathroom with double Tile Shower, Double vanity, Granite comfort height sinks and a HUGE Walk-in Closet! No detail is missed in this 2 year Young home right down to the energy efficiency of the tankless water heater! So come see for yourself and enjoy this Luxury Home! A RARE RANCH HOME MOVE IN READY! This 3 bedroom 2 bath home with a very open floor plan is ready for you today! The kitchen is open to the great room with bar style seating at the gorgeous granite counter tops! A butlers pantry style cabinet for extra storage space and a LARGE pantry, perfect for the cook to watch TV and entertain! This home is piped for central vacuum system and has the TV lines already piped through the wall! ALSO HAS A HUGE STORAGE closet just off the garage hall perfect for all the holiday items with no need to go into the attic! Ceailing fans in all rooms! Perfect if you are looking for low maintenance and it is on a Cul-de-sac street for little traffic! Freshly painted and all carpet cleaned so load the truck to move in and make it yours today! A charming all brick ranch style home with a bonus room features a split floor plan and formal dining area. Feel welcome with the rocking chair front porch in a golf course community of charwood Country Club. Enjoy the view of the quiet and private backyard from the screened in porch or large wood deck that that backs up to community green space. Thuis is a great area to grill out and entertain. The Master Ensuite has a large walk in closet in the all tile dual vanity Master bath with separate whirpool tub and shower that includes a separate water closet. Brand new carpet throughout living areas, tile floors in kitchen, and bathroom and hardwoods in entry and formal dining area. The bonus room would make a perfect man cave or entertainment room. The eat-in kitchen has a perfect view out of the sliding glass door of the private backyard with a vaulted ceiling, Granite counter tops an modern white cabinets. Washer dryer and newer stainless steal fridge to convey with reasonable offer. New Hot Water heater and includes a 1 YR home warranty! come see this beauty today in this well established ALL BRICK HOME neighborhood on the same street as the Charwood Golf Club. Marvel at the cathedral ceilings & open floor plan as you enter this much desired 3 bedrooms 2 baths ranch style home with an added bonus room that could be a 4th bedroom. Retire in the large master suite featuring tray ceilings, large walk in closet, Master bath has dual vanity, separate shower, garden tub and private bathroom. Split bedrooms with master on opposite side of the bedrooms. Bench sitting in the eat in kitchen. Bonus room has built in bookshelves. Entertain in your lage fenced in backyard with fire pit home is located across the street from the neighborhood playground and picnic area. This home is eligible for USDA rural 100% financing. Award winning schools. Why pay for a NEW HOME when you can have this MOVE IN ready stunning like new home, ZONED dutch Fork high award winning Lex/Rich 5 Schools! The least expensive option to move into the desirable Rose Oaks subdivision and still have a huge yard plus all the extra bells and whistles in this stunning almost 3000 SQ FT 4 bedroom home on quiet cul-de-sac built in 2013! Gorgeous HM boast attention to details; heavy crown molding, coffered ceiling, stunning hardwoods, tile bathrooms, granite and tile in the kitchen, stone fireplace, high ceilings, and MORE! The Master on main, features LG windows and detailed crown molding inlay boxed ceiling PLUS an en-suite with separate garden tub and shower, his and her comfort high vanity, separate water closet and massive walk-in closet. Walked onto the screened in porch that overlooks the extra-large privacy fenced backyard with full sprinklers to maintain professional landscaping and fire pit area too. All bedrooms have HUGE walk-in closets, their own private sinks and bathroom. The loft, a perfect place to read and relax. A meticulously maintained home in a beautiful neighborhood. A must see! This pristine one level 3 bedroom and 2 bath home would be perfect for a 1st time home buyer or a great Downsizing option! This is a low maintenance home! Brand new roof (Oct 2018) New laminate floors, Newer dishwasher, new disposal, all new fixtures in bathrooms, Concrete sidwalk added and more! This fenced corner lot features a great backyard with a patio perfect for entertaining, including a hot tub that could convey with home. Conveniently located near the NEW Lowes Food and Lexington High with award winning schools! This is a must see to appreciate! Nice level wooded lot on the corner of Lynch and Dreher Island Rd. Close to Lake Murray and 4.5 Miles to Dreher Island State Park. Lot could accomodate a side entry garage option. Mobile home allowed with restrictions. Award winning Chapin schools. Paradise in Blythewood. This beatiful rare all brick custom ranch style home is move in ready. The grand entrance features marble floor, pillars, high ceilings & arched entry ways with luxurious attention to details, Hardwood floors greet you in the living, dining and great rooms, Gorgeous Kitchen with custom cabinets, granite countertops, tile backlash, stainless steel appliances, and eat in area. Great room has built ins & french doors leading to covered screened in porch and patio overlooking your private oasis with fenced in backyard mature landscaping and gunite swimming pool. 3 bedrooms on the main level and a 4th bedroom or “family room over garage” on the second floor. The home has been freshly painted throughout. Award winning schools. privacy of the master bedroom, with an en suite and private closet. Sip a cup of coffee on your beautiful front porch and enjoy your new home! could you ask for with this beautiful Columbia townhouse? throughout the house. Four large bedrooms up with lots of closet space and Jack & Jill baths. Tons of storage with walk-in and pull-down access. beautifully landscaped with sprinkler system. Community boat ramp and storage area. Highly rated schools. Step into your new home and enjoy the nice, open floor plan. The fireplace in the great room adds a gathering place to this already comfortable home. more could you ask for with a deal like this? Cute as can be and in great condition! This one level ranch with a nice sized lot and no possible neighbor to one, side backs up to the woods, Great floor plan with open living room dining area with 3 bedrooms, 2 bathrooms, and 1 car garage. In award winning LExington/Richland 5 school district and and dutch Fork high school. Conveniently located near shopping, restaurants, and interstate. Approximately 13 miles to downtown Columbia/Riverbanks Zoo/museums. Has Extra wide handicap accessible doors throughout home ALL one level ranch and laminate floor in majority of home. WELL maintained, and is a certified Pre-owned home with full home inspection with all minor repairs completed, Transferable termite bond, and 1 yr home warranty! HVAC 2014, Hot Water Heater 2012, NEW Stove! MOVE -IN Ready!